Lady Gaga Is Reborn as a Las Vegas Robot WranglerDay one of her residency, complete. SNL Fires Up the Old Jonah Hill Robot for This Week’s PromoLooks like the real Jonah Hill won’t be hosting after all. How Close Are We To Real-Life Westworld Robots?And how should we treat them when we get them? 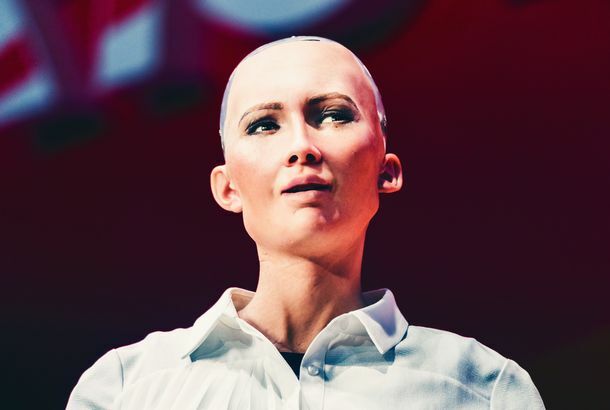 Sophia the Robot Waits Until the Perfect Moment to Get Revenge on Chrissy TeigenA robot never forgets a shady tweet. Is Robot Trump a Better Speaker Than Real Trump?Yes. Someone Knocked This Robot Security Guard Over and Covered It in Barbecue SauceIt was also covered in a tarp! Even Female Robots Can’t Avoid the ‘Do You Want Kids?’ QuestionRobots: They’re just like us. Robot Security Guard Commits Suicide in Public FountainSelf-inflicted short circuit. 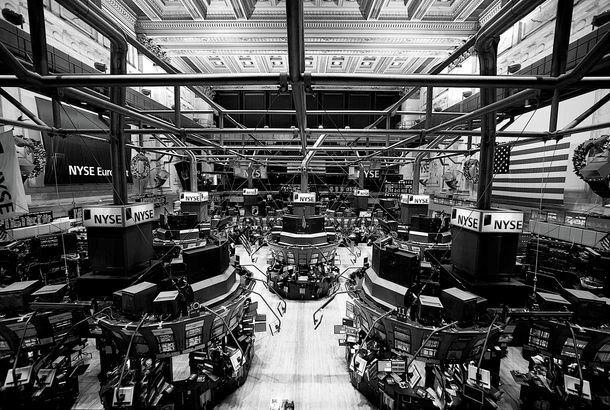 Google Sells Boston Dynamics, Maker of Unnerving RobotsIt took over a year to find a buyer for Boston Dynamics. Welcome to the Future, Where Packages Are Delivered by Horrifying Robot DogsWho is a good dog? Answer: NOT THIS ONE. Drunk Man Arrested for Showing Robot Security Guard Who Is the BossThe 300-pound bot was patrolling in Mountain View when the incident occurred. A Mysterious Robot Is Printing Out Trump’s Tweets and Setting Them on FireLiteral fire tweets. Google’s Newest Robot Is a Leaping, Rolling, 6.5-Foot MenaceIts name is Handle, and it can jump four feet in the air. Is This GIF Robot Awesome or Terrifying?The way its little mechanical neck moves is something else. 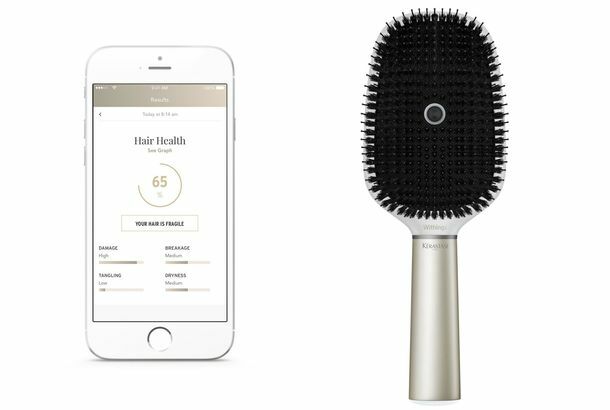 This New Hairbrush Is Totally Judging YouPay $200 and get hair-shamed by a robot. This Creepy Baby Robot Is Teaching Scientists How Real Babies LearnWhen it’s not busy haunting your nightmares. 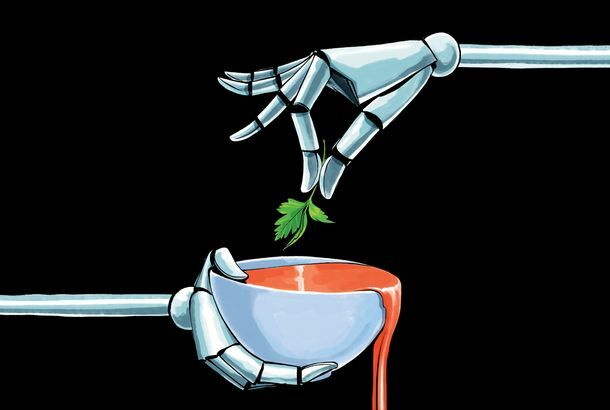 What Scientists Are Learning From a Chain-Smoking RobotIt could be an important breakthrough for better understanding what tobacco does to the human respiratory system. A Mattress Company Launched a Service to Talk to You in the Middle of the NightHey, it’s better than texting your ex. Chanel Wants You to Wear Robot Heads, Side Ponytails, and CoralCoco Roboto. The Future of Room Service Is These Friendly AutomatonsBe warned: They can’t read your “do not disturb” signs. This Precious Fleet of Loyal Robots Delivers Packages From MinivansOur future overlords are also in the delivery business. This Terrible Robot Dog Is Your New Best FriendThis dog is so bad. It’s perfect. 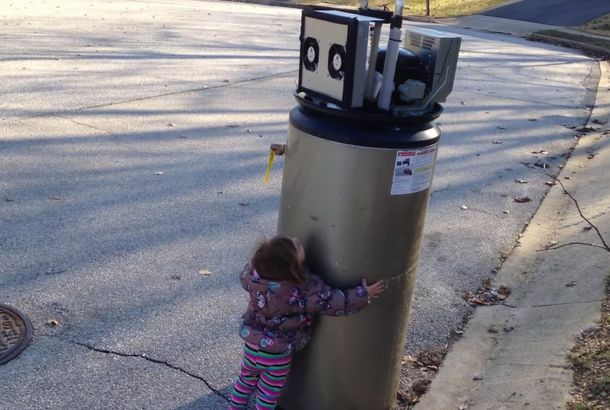 Creepy Robot Babies Don’t Deter Teens From SpawningClearly they haven’t seen Toy Story.